Resort is delighted to be supporting Open School East’s relocation to Margate in January 2017. Open School East was founded in East London in 2013 as an informal space for collaborative learning, with a view to supporting emerging artists and fostering cultural, intellectual and social exchanges between artists and the broader public. In January 2017 OSE will relocate to Margate, and be based on the ground floor of Resort Studios. A free, studio-based study programme open by application. 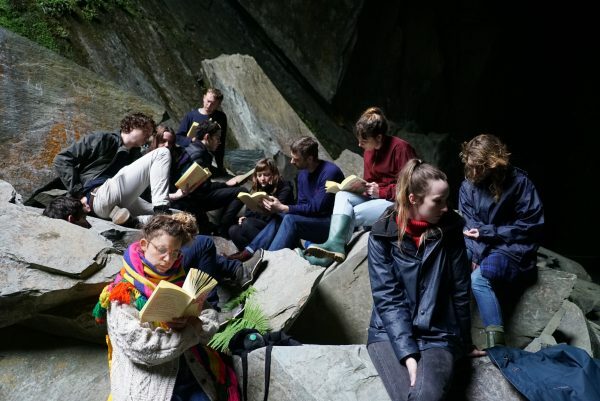 The programme runs across 11 months and offers mentorship from Lucy Beech, Matthew Darbyshire, Tom Morton, Sally O’Reilly, Trish Scott and Maki Suzuki, as well as workshops and seminars from a pool of artists and cultural practitioners. Free to attend and principally self-directed, the study programme creates platforms for the associate artists to develop their practice. More information is available through art&education. A multi-faceted programme of events, activities and projects open to and devised by all. Alongside a number of workshops and lectures which are open to the public, OSE offers a range of skills-based activities, which will include public projects in Margate by Sally O’Reilly and Benedict Drew. Associate artists on the study programme will also be devising and running public events. To find out more about OSE, the study programme, the relocation to Margate, application requirements, the selection process and open days, please visit their website. Deadline: Monday 31st October, 5pm.